From June 1967 to June 1968, Tom Johnson accumulated an astonishing 1,600 flying hours piloting the UH-1 "Iroquois" - better known as the "Huey" - as part of the famous First Air Cavalry Division. His battalion was one of the most decorated units of the Vietnam War, and helped redefine modern warfare. Johnson's riveting memoir takes us into key battles and rescue missions, including those for Hue and Khe Sanh. 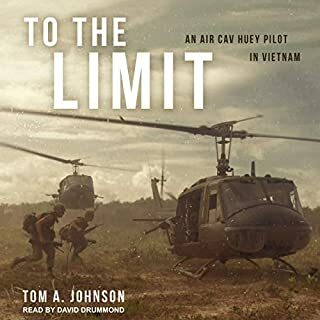 In harrowing detail, he tells of being shot down in the battle of A Shau Valley, of surviving enemy attacks during the Tet Offensive, and of a death-defying nighttime river rescue. By January 1968, despite an influx of half a million American troops, the fighting in Vietnam seemed to be at a stalemate. Yet General William Westmoreland, commander of American forces, announced a new phase of the war in which "the end begins to come into view". The North Vietnamese had different ideas. In mid-1967, the leadership in Hanoi had started planning an offensive intended to win the war in a single stroke. 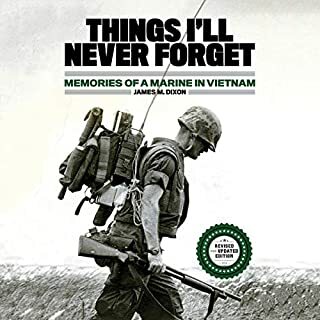 Things I’ll Never Forget is the story of a young high school graduate in 1965 who faces being drafted into the Army or volunteering for the Marine Corps. These are his memories of funny times, disgusting times and deadly times. The author kept a journal for an entire year; therefore many of the dates, times and places are accurate. The rest is based on memories that are forever tattooed on his brain. This is not a pro-war book, nor is it anti-war. It is the true story of what the Marine Corps was like in the late 1960’s. When the 160 men of Charlie Company were drafted by the US Army in May 1966, they were part of the wave of conscription that would swell the American military to eighty thousand combat troops in Vietnam by the height of the war in 1968. In the spring of 1966 the war was still popular, and the draftees of Charlie Company saw their service as a rite of passage. But by December 1967, when the company returned home, only thirty men were not casualties. 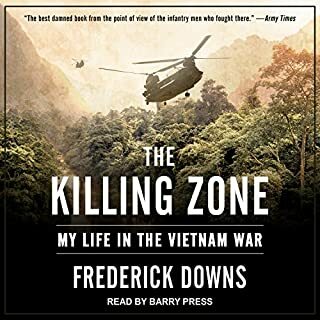 Among the best books ever written about men in combat, The Killing Zone tells the story of the platoon of Delta One-six, capturing what it meant to face lethal danger, to follow orders, and to search for the conviction and then the hope that this war was worth the sacrifice. The book includes a new chapter on what happened to the platoon members when they came home. 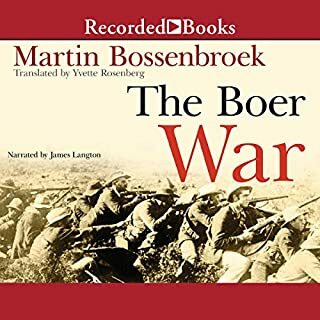 In The Boer War, winner of the Netherland's 2013 Libris History Prize and shortlisted for the 2013 AKO Literature Prize, the author brings a completely new perspective to this chapter of South African history, critically examining the involvement of the Netherlands in the war. 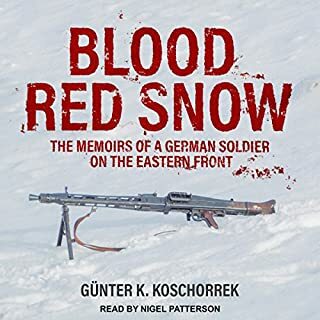 Furthermore, unlike other accounts, Martin Bossenbroek explores the war primarily through the experiences of three men uniquely active during the bloody conflict. 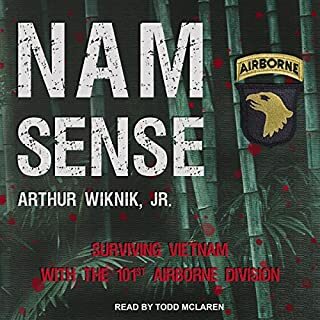 An honest tour of the Vietnam War from the soldier's eye view... Nam-Sense is the brilliantly written story of a combat squad leader in the 101st Airborne Division. Arthur Wiknik was a 19-year-old kid from New England when he was drafted into the US Army in 1968. After completing various NCO training programs, he was promoted to sergeant "without ever setting foot in a combat zone" and sent to Vietnam in early 1969. Shortly after his arrival on the far side of the world, Wiknik was assigned to Camp Evans, a mixed-unit base camp near the Northern village of Phong Dien. 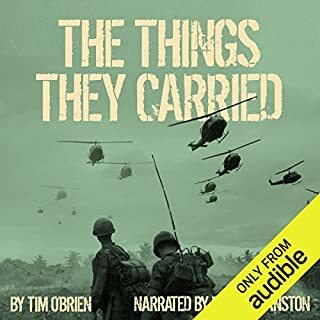 Hailed by The New York Times as "a marvel of storytelling", The Things They Carried’s portrayal of the boots-on-the-ground experience of soldiers in the Vietnam War is a landmark in war writing. Now, three-time Emmy Award winner-Bryan Cranston, star of the hit TV series Breaking Bad, delivers an electrifying performance that walks the book’s hallucinatory line between reality and fiction and highlights the emotional power of the spoken word. What is a true war story? 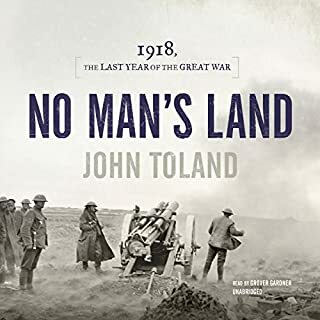 From freezing infantrymen huddled in bloodied trenches on the front lines to intricate political maneuvering and tense strategy sessions in European capitals, noted historian John Toland tells of the unforgettable final year of the First World War. 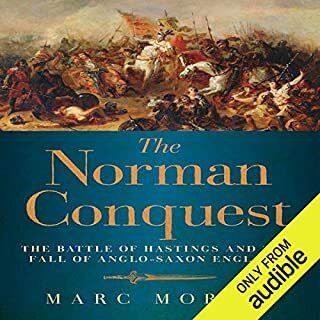 In this audiobook, participants on both sides, from enlisted men to generals and prime ministers to monarchs, vividly recount the battles, sensational events, and behind-the-scenes strategies that shaped the climactic, terrifying year. Gunter K. Koschorrek was a machine-gunner on the Russian front in WWII. He wrote his illicit diary on any scraps of paper he could lay his hands on. As keeping a diary was strictly forbidden, he sewed the pages into the lining of his thick winter coat and deposited them with his mother on infrequent trips home on leave. The diary went missing, and it was when he was reunited with his daughter in America some 40 years later that it came to light and became Blood Red Snow. Vietnam became the Western world’s most divisive modern conflict, precipitating a battlefield humiliation for France in 1954, then a vastly greater one for the United States in 1975. 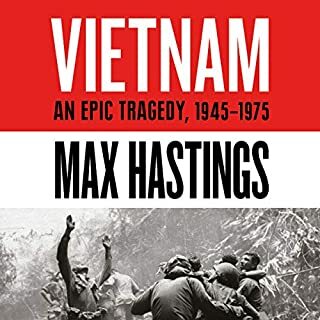 Max Hastings has spent the past three years interviewing scores of participants on both sides, as well as researching a multitude of American and Vietnamese documents and memoirs, to create an epic narrative of an epic struggle. He portrays the set pieces of Dienbienphu, the Tet offensive, the air blitz of North Vietnam and less familiar battles such as the bloodbath at Daido. An upstart French duke who sets out to conquer the most powerful and unified kingdom in Christendom. An invasion force on a scale not seen since the days of the Romans. One of the bloodiest and most decisive battles ever fought. On October 3, 2009, after years of constant smaller attacks, the Taliban finally decided to throw everything they had at Keating. The ensuing 13-hour battle - and eventual victory - cost eight men their lives. 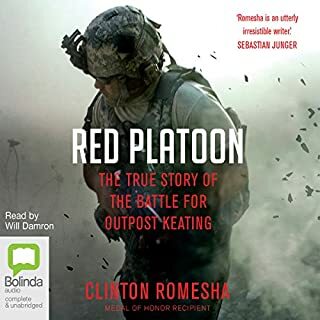 Red Platoon is the riveting firsthand account of the Battle of Keating, told by Romesha, who spearheaded both the defence of the outpost and the counterattack that drove the Taliban back beyond the wire and received the Medal of Honor for his actions. 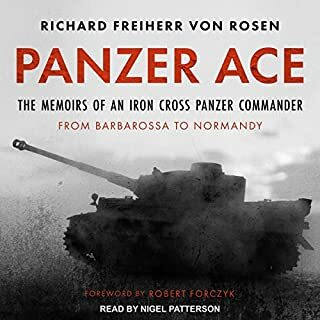 Richard Freiherr von Rosen was a highly decorated Wehrmacht soldier and outstanding panzer commander. After serving as a gunlayer on a Pz.Mk.III during Barbarossa, he led a company of Tigers at Kursk. Later he led a company of King Tiger panzers at Normandy and in late 1944 commanded a battle group (12 King Tigers and a flak company) against the Russians in Hungary in the rank of junior, later senior lieutenant (from November 1944, his final rank). Only 489 of these King Tiger tanks were ever built. The story of one of the Afghanistan war's most decorated units and their 15-month ordeal, culminating in the Battle of Wanat, the deadliest battle of the war. 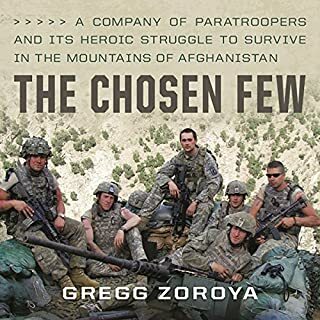 A single company of US paratroopers - calling themselves the "Chosen Few" - arrived in eastern Afghanistan in late 2007 hoping to win the hearts and minds of the remote mountain people and extend the Afghan government's reach into this wilderness. Instead, they spent the next 15 months in a desperate struggle, living under almost continuous attack, forced into a slow withdrawal, and always outnumbered by Taliban fighters. From Paul Ham, winner of the NSW Premier's Prize for Australian History, comes the story of ordinary men in the grip of a political and military power struggle that determined their fate and has foreshadowed the destiny of the world for a century. 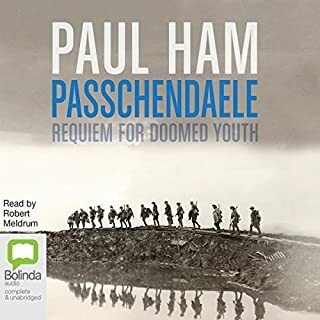 Passchendaele epitomises everything that was most terrible about the Western Front. The photographs never sleep of this four-month battle, fought from July to November 1917, the worst year of the war. When it first appeared, A Rumor of War brought home to American readers, with terrifying vividness and honesty, the devastating effects of the Vietnam War on the soldiers who fought there. And while it is a memoir of one young man's experiences and therefore deeply personal, it is also a book that speaks powerfully to today's students about the larger themes of human conscience, good and evil, and the desperate extremes men are forced to confront in any war. A platoon commander in the first combat unit sent to fight in Vietnam, Lieutenant Caputo landed at Danang on March 8, 1965, convinced that American forces would win a quick and decisive victory over the Communists. Sixteen months later, and without ceremony, Caputo left Vietnam a shell-shocked veteran whose youthful idealism and faith in the rightness of the war had been utterly shattered. 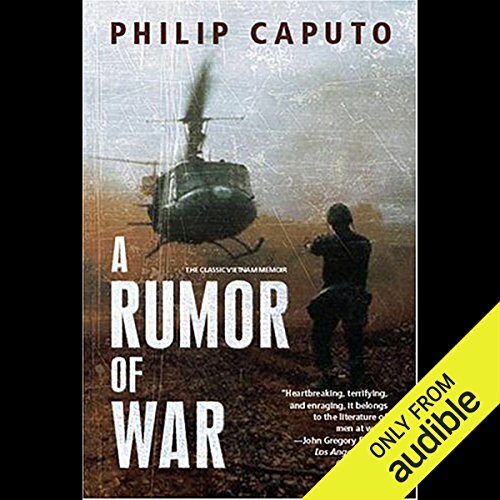 A Rumor of War tells the story of that trajectory and allows us to see and feel the reality of the conflict as the author himself experienced it, from the weeks of tedium hacking through scorching jungles, to the sudden violence of ambushes and firefights, to the unbreakable bonds of friendship forged between soldiers, and finally to a sense of the war as having no purpose other than the fight for survival. Most troubling, Caputo gives us an unflinching view not only of remarkable bravery and heroism but also of the atrocities committed in Vietnam by ordinary men so numbed by fear and desperate to survive that their moral distinctions had collapsed. More than a statement against war, Caputo's memoir offers readers today a profoundly visceral sense of what war is and, as the author says, of "the things men do in war and the things war does to men". ©1996 Philip Caputo (P)2009 Audible, Inc.
bought this book years ago but never got round to reading it. great read. entertaining. I've read many books on Vietnam War. My favourite being 13 th Valley. However Rumour of War is easy a close second. Fields of Fire comes next. 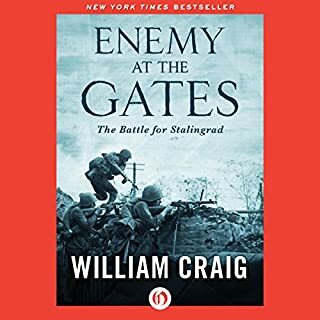 Recently I have been listening to audible books and highly recommend this book either audible or to read. Normally WW1 and 2 have been my obsession these days. Yet In pleased I decided to try Rumour of War. So go for it you won't be disappointed. The best military book I've ever read! To call Philip Caputo a wordsmith would not do the man justice. What a book! An education. Eye opening first and account full of emotion in every sense. An actual journey, with the withering debate of right and wrong on so many levels and the challenges we face to get there. What did you like most about A Rumor of War? What does L. J. Ganser bring to the story that you wouldn’t experience if you had only read the book? 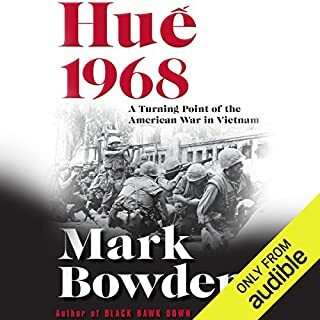 A must for anyone interested in the Vietnam war, I would put this up there with Tim O'Briens "If I Die in a Combat Zone" which sadly isn't available on Audible yet, nor is the other must read from this Genre - Michael Herr's "Dispatches" , please Audible add these two literary classics to the library !!! A fine performance of a very fine book. As good as it gets on the Vietnam war. I've read quite a few memoirs from the Vietnam War and I have to say this is among the finest. From the optimism and bravado of training and the early months in-country, through to the horror and tragedy as the body count rises and Caputo and his Marines realise this is a war that cannot be won - this book packs an emotional punch. I always feel audio books lend themselves to the first person narrative and the narrator does a good job here. Moments of laughter, despair, terror, confusion, frustration and gallows humour are brought to life. At times you feel like you're in the fox hole with them. Recommended. I first read this book over 20 years ago and found it fascinating and enlightening. Reading it again 10 years later I found it equally intriguing. Having listened to it twice in a few months I have been surprised at how much more I have taken from it. This is, for me, a work that gives an opening into the soul of everyone and deserves recognition because of it. Highly recommended. What made the experience of listening to A Rumor of War the most enjoyable? The narration by L.J. Ganser convinced me I was listening to Philip Caputo. Caputo's story is believable and frank. It does not gloss over or dwell on the mistakes of U.S. involvement in the Vietnam war nor does it dwell on them. This is a story of political naivety and the reality of being a professional soldier. As a former soldier of the Vietnam era I could identify with his experiences and empathized with the changes he went through from enlistment to his days of being a war correspondent. What was one of the most memorable moments of A Rumor of War? The near mental breakdown when Philip Caputo started to visualise all around him as corpses. What about L. J. Ganser’s performance did you like? He sounded like what I would expect Philip Caputo to sound like. He had peculiarities of military jargon down pat. His range voices was true to the individual characters and allowed the listener to immerse themselves in the story and kept the characters different and distinctive. When Caputo realises that his classmate was one of the statistics that he had to record. A fantastic listen and a true to life account of Marine officer's experience in early Vietnam. Wonderfully read first person account of a young Marine officer in the early days of the Vietnam War. For us history/military fans, it is a nice break from the dry Generals perspective, to what it is like to be a grunt in the field. Worth the buy. The events within this book will stay with you for quite a long time. Vivid descriptions of jungle life and what the soldiers felt are told in easy to understand ways. However, I cannot say that this beats "Dispatches." Yes, you do get a first hand account of how hard soldiers had it, BUT, I have to say I felt more "emotion" with Dispatches. A Rumor of War is a good book, although not my favorite Vietnam book. It's definitely worth a try if you're searching around for a good wartime novel. I swear I've heard the narrator on some voice over on goofy blooper shows and commercials. I just didn't feel he "fit" the overall message the story was trying to portray. 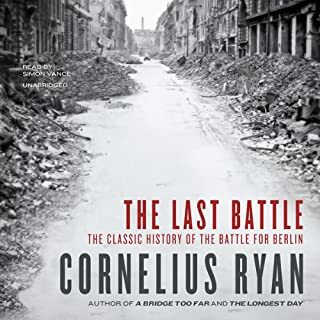 The first half of the book documents the boredom of the war in painful detail and makes it difficult to stay with the book. The second half is much better as more incidents and action occurs. Philip's insightful commentary about the limits of man's endurance and the uselessness of the war is quite unique and while the concepts are far from new, he presented them in a unique & honest perspective of someone who lived the experiences. I was less than impressed with the narration and, while his delivery was good, the tone of L.J. Ganser's voice was not appealling for me. Others may not share my view and I suggest you sample it first. Finally, the frequent, silly, vocal war noises do not help the book and are distracting. An enthralling account of life as a soldier in Vietnam, told with an honesty that endears you to the author despite the sometimes graphic nature of the details. By his own admission, Caputo wanted to shock people with this book and there were a lot of occasions where he succeeded for me. There is no sugar coating, nor tales of his own heroics, just a decent account of a soldier and his comrades and the events that contributed to the deterioration of their mental state. Very powerful. Really tells it as it was. I was blown away by this book. The text was incredibly strong. Everything was described fully and with precision. It was gripping and fascinating. I really felt that I was hearing the whole truth, because he includes many incidents that sound like war crimes, including incidents that he was involved in and put on trial for. In some ways it was difficult to listen to, but I felt that as an American who was a young child during that war, I needed to know. The war, as Caputo tells it and I understand it, was a terrible mix of good intentions on the part of some, and arrogance, foolishness and dreadful judgment by many. It is hard to come to terms with the waste and loss. I wish it hadn't happened... yet on a personal note, my sister-in-law's father was an officer in the South Vietnamese army and they fled to the US in the early 1970s. If not for this stupid and tragic war, she, and hence my nephew and niece, would not be part of my family. So I can't wish it hadn't happened and anyway, of course, my wishes regarding past events are meaningless. It did happen. The narrator was excellent. Something about his voice-- the confident and controlled delivery, I think-- suited the material to a T.
I only came across this book because it was included in one of Audible's promotions. I'm grateful because it made a huge impression. One of the more memorable books I've experienced in the past several years. After listening to Mr.Caputos' book I have only one word, which is used in the Marine Corps. As most wars are not as pointless as Vietnam was, I would be remiss to suggest this as an antiwar novel. But for just how profoundly useless it was, and the effect it had on the people in the bush and at home, this book is powerful. The writing is superb, the accounts unflinching, and is powerful even to a guy born in 98, where the Afghanistan war is most comparable. It is a stunning chapter of American history that I'm glad my US history professor made us read. If the author is in Heaven, he'll be happy as an angel that his work is still prominent and powerful today as much as it was back then. It's a first hand account of a Marine in Vietnam, from the first months to heavy combat action. He served multiple times and had many different roles. It's about anecdotes, processes and psyche. It's diary style focussed on micro developments. Very, very impressive. The fast pace style of writing is brilliantly met by the narrator. If you are looking for a story on first hand experience in Vietnam, this is the one to read. 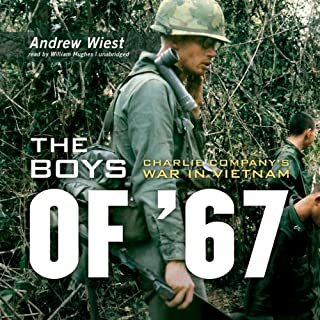 If you want the overall picture of the USA in Vietnam you need a different title. What did you love best about A Rumor of War?